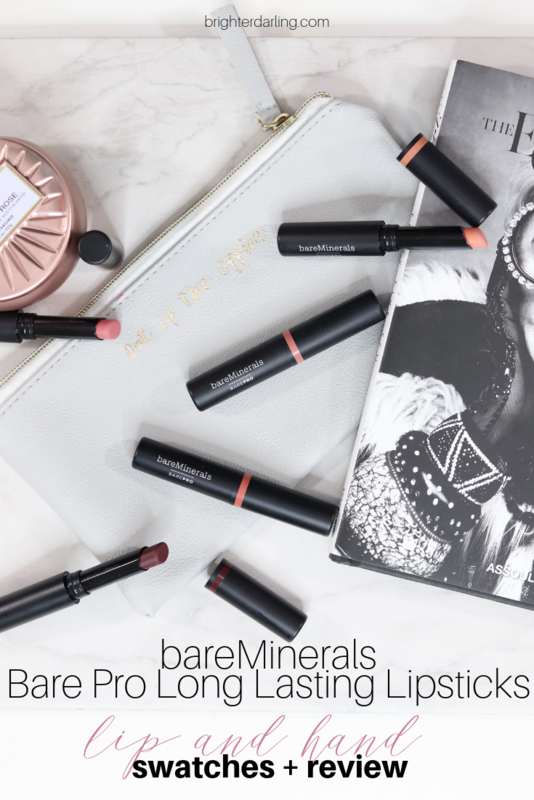 What I liked most about the bareMinerals BarePro Long Lasting lipsticks ($20/each) are that they go on initially super creamy – like a traditional lipstick. Then, after a few minutes, they’ll dry down to a matte finish that doesn’t feel drying at all (unlike your typical liquid lipstick). 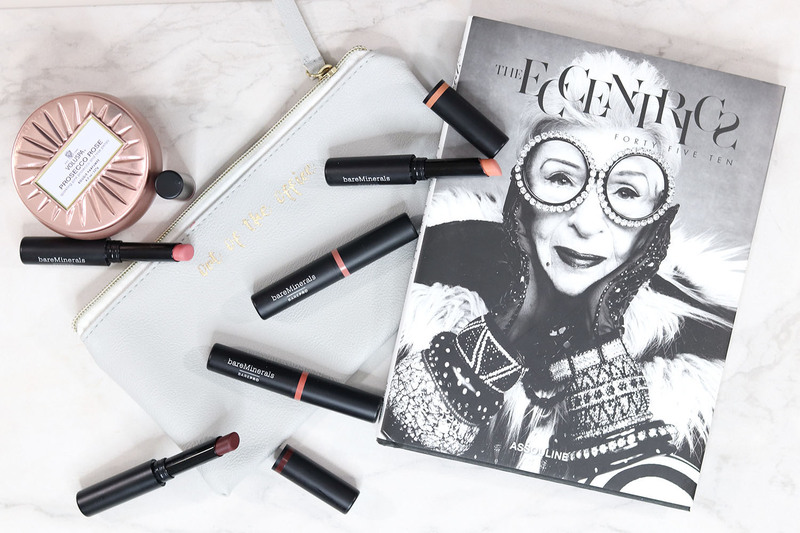 The slim bullet size is compact for keeping a couple of shades in your purse (think: one every day neutral, one bright pop of color), and makes for easy application on the lips. The breakdown and wearing off process on the lips is better than a traditional liquid lipstick and I really liked that I was able to apply a fresh swipe of color after eating without it feeling cakey and crumbly. 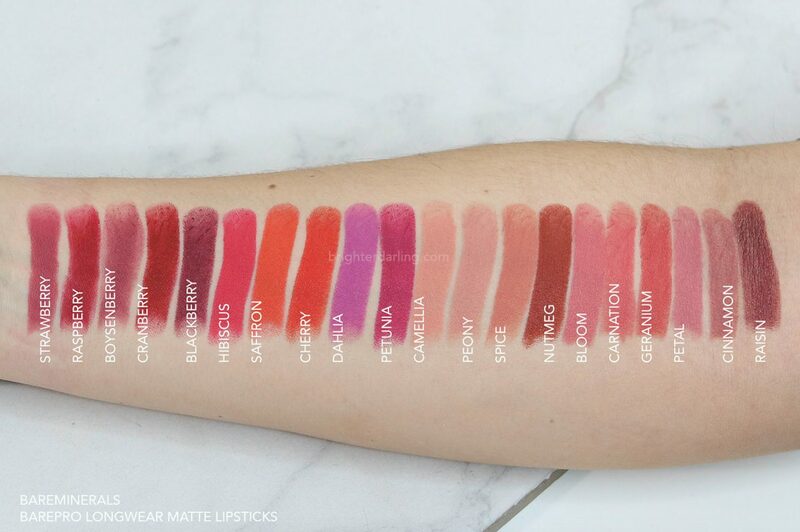 This is a beautiful, fully matte, comfortable to wear long wearing lipstick with good-for-you ingredients. I love how many brights are in the collections, with a great variety of neutrals/nudes for all skin tones. Highly suggest picking up a shade or two in your favorite colors! Personally, like I mention in the YouTube video, I think the most wearable neutrals for most skin tones will be Camellia, Peony, Spice, Petal, and Cinnamon. You can find these at Ulta, Sephora (only 12 shades available) and bareminerals stores and online. "Best Baby Bottles 2019 | My Favorites For 0-6 Months"